PORTLAND, Ore. — Ray Berrian has been smoking marijuana for years. 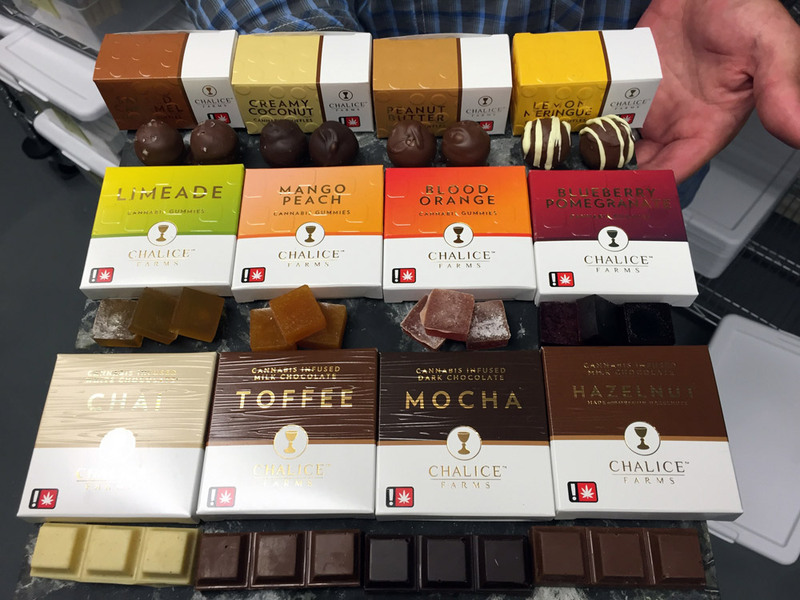 But on Thursday he walked into a store on a busy street in the Portland suburbs and legally bought an “edible” — three small squares of rich chocolate infused with cannabis oil — for the first time. The Oregon Liquor Control Commission is in the process of licensing producers and expects to authorize recreational shops later this year. Oregon also wants to cap the dose for individual edible products at 5 milligrams each — half of what’s allowed in Colorado and Washington state. Marijuana entrepreneurs have been gearing up for Thursday’s business for weeks, anticipating a rush by the general public on the newly available products. Edibles had already been available for legal sale to medical marijuana card-holders. At Chalice Farms, every employee was recruited to wrap and box up hundreds of pot-infused goodies before their four Portland-area stores opened their doors at 9 a.m. The kitchen at the company’s headquarters can produce 500 packages of candies a day. Customers poured into the company’s retail location in Tigard, southwest of Portland as soon as its doors opened.